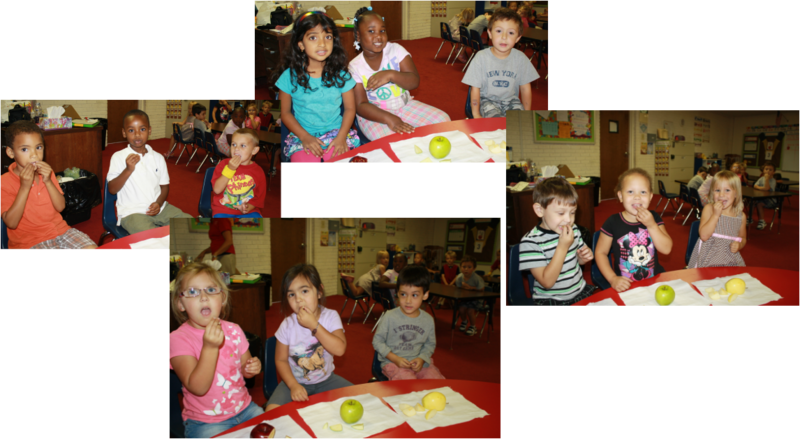 Mrs. Herchenhahn's K-4 Corner - September is all about Apples! We having been talking all about apples in our class this month. We have learned the best time of year for picking apples, the changes an apple tree goes through during the seasons, as well as the different parts of an apple. Then we learned that all apples are not red. We predicted what apple would be our favorite: red, green, or yellow. On apple tasting day, we tried all three types of apples. Some of us knew what our favorite would be, while others were surprised that their favorite was not what they thought. Some even learned that they actually do like apples. But, we all learned something about the value of trying new things. Our predictions on Thursday..... the results on Friday! !